The Midlanders are one of Ireland’s oldest clubs with their history being traced back to 1887 and a formation meeting reported by the Westmeath Independent. Town gained admittance to the Free State League in its’ second season expansion to twelve clubs in 1922. They became the first non-Dublin club to compete in the new competition. In 1924 the newcomers won the FAI Cup defeating Fordsons 1-0 in the final at Dalymount. Incredibly they achieved the victory without conceding a goal in the entire competition defeating Midland Athletic, Shelbourne and Bohemian without their goal being breached, a truly remarkable achievement. 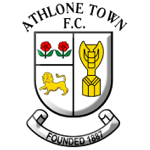 Athlone resigned from the League of Ireland in 1928 following a disastrous season which was highlighted by a humbling 9-3 FAI Cup 1st round defeat to then non-league Drumcondra. 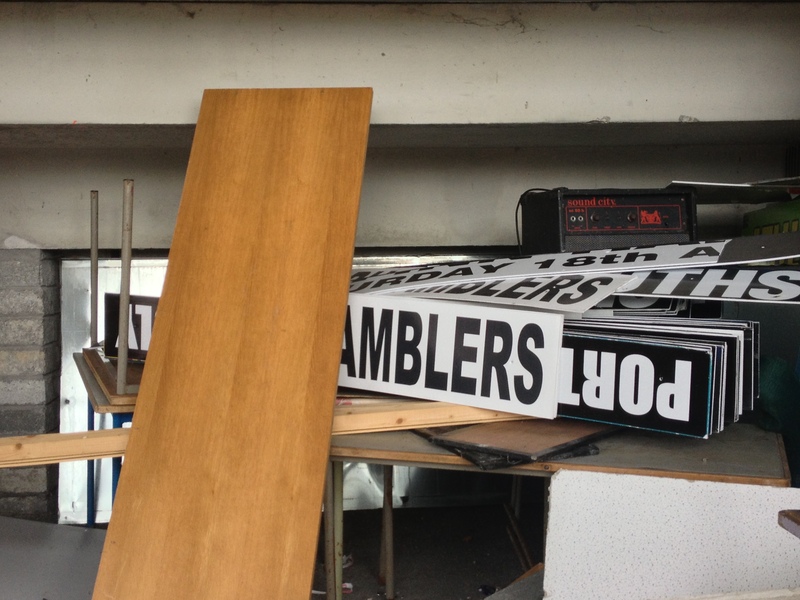 The club also had a perilous financial position and opted to return to provincial football. As if to rub salt in the wounds, Drumcondra took their place in the League. The club had to wait until 1969 for re-election when the membership was once again expanded, joining them in the League of Ireland were Finn Harps from Ballybofey, County Donegal. Having built momentum the club enjoyed a few sorties into Europe their best season being 1975/76.The club had finished as runners-up to Bohemian and gained entry to the UEFA Cup. Norway’s Vålerengen were overcome in the first round and Town drew mighty AC Milan in the second round. 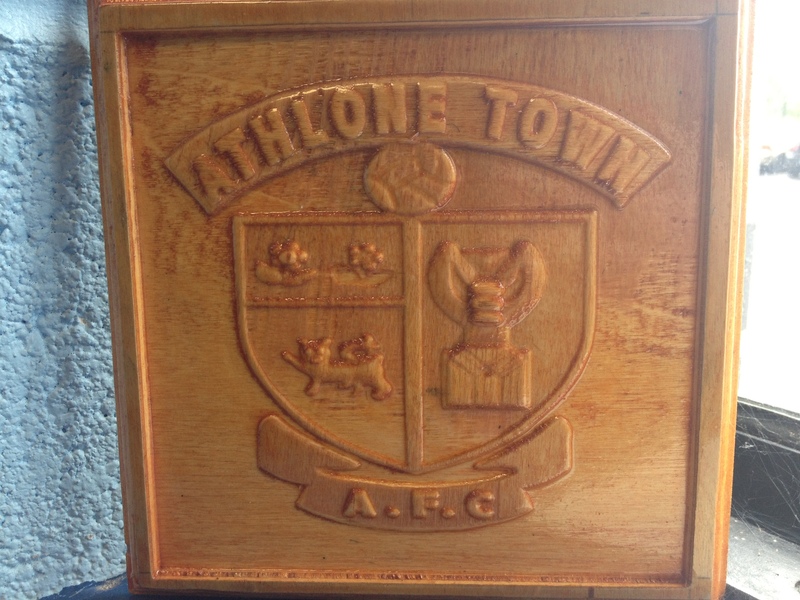 Athlone obtained a goalless draw in front of a record crowd at St.Mel’s Park variously estimated at 9,000 to 12,000. Famously the Milan manager Giovanni Trapattoni was quoted as saying “Is this some kind of joke” as the luxurious Milan coach pitched up outside the ramshackle venue. Town then won the championship twice in 1980/81 and 1982/83 and further European campaigns followed. In 1981/82 they lost on away goals to KB Copenhagen and two years later they again went out at the first hurdle, losing 4-11 on aggregate to Raymond Goethals’ Standard Liege. After the heady days of the 1970’s and early eighties Athlone spent most of the 1990’s yo-yoing between the Premier and First Division. 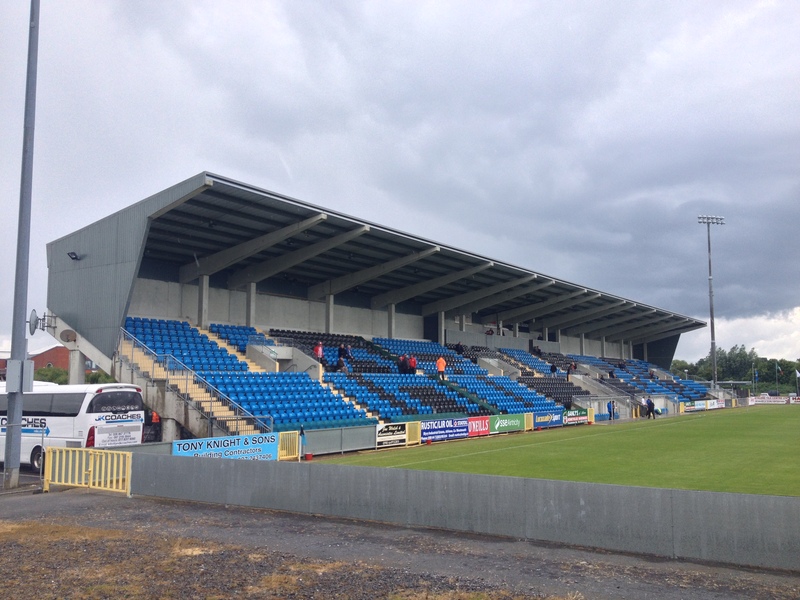 The club’s last top flight season was 2000/1 and in 2007 the club decided their future was best served at a new stadium out of town in Lissyowen. St.Mels was demolished and sold for redevelopment which to date has still not happened. Athlone had moved into St.Mels in 1929 after two seasons spent at Ranelagh Gardens. Prior to then the club played at the town’s Sportsground. St.Mels was practically falling apart by the turn of the 21st century, it had a huge covered terrace and banking around the ground augmented by a modest seated stand at the dressing room end. It was a truly intimidating place to visit. 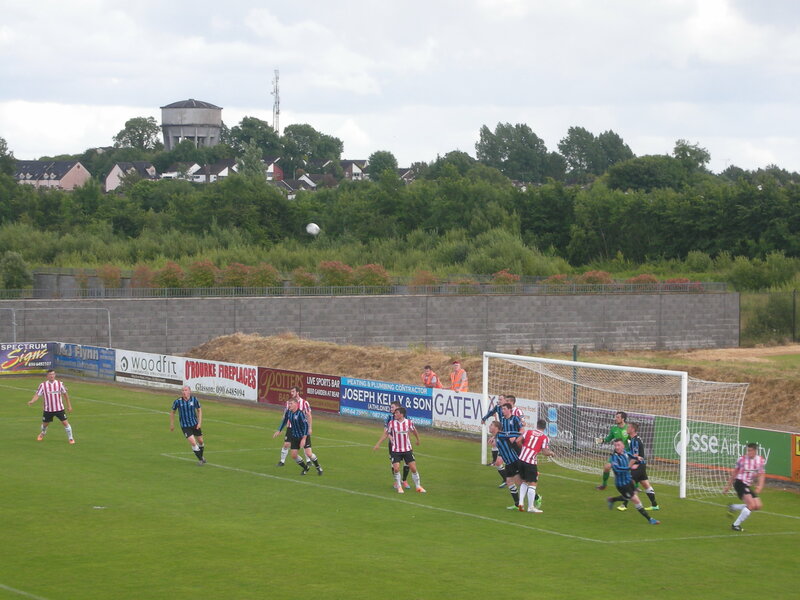 The new ground had one large stand and vitally a second pitch to allow youth development. However, the move was not without its challenges and December 2008 and EGM was called to address the clubs financial state. A patron scheme was adopted which garnered support from 350 locals. Athlone are alone in the League of Ireland in that aside from players and the manager all positions are filled voluntarily. 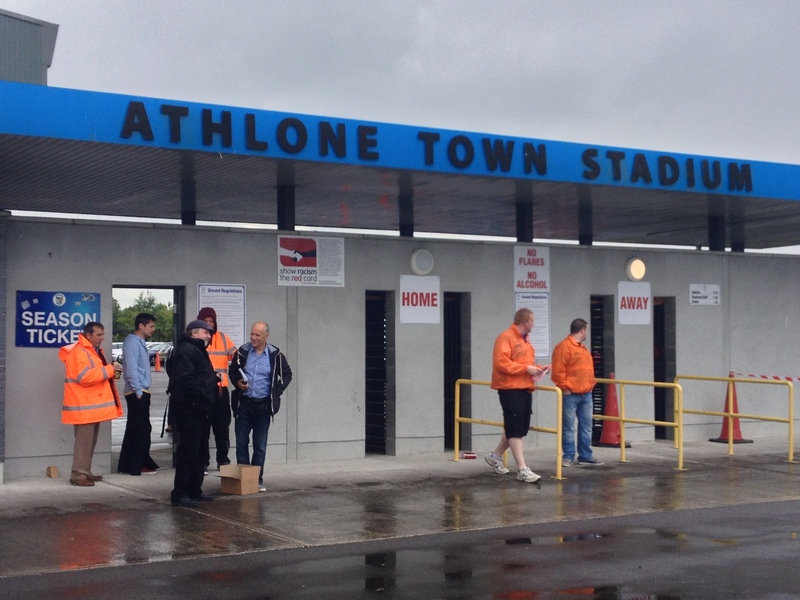 The financial rebirth of the club and the focus on youth development bore fruit in 2013 when Athlone won the First Division title and long overdue promotion back to the top flight. The club have struggled in the Premier Division and currently prop up the table with only eight points to date. New manager Keith Long has a job on his hands to keep the side up based on this afternoon’s showing. Athlone went behind to Derry on 20 minutes with a superb free kick from Pat McEleney and despite dominating possession they just could not fashion a real goalscoring opportunity. Approach play was excellent but the need for a goal poacher was all too evident. A very welcoming club with a fascinating history, and no Mr Trapattoni, they are certainly no joke. 1. Paul Skinner; 3. Sean Byrne; 4. Derek Prendergast; 6. Alan Byrne (c); 7. Kealan Dillon; 8. Mark Hughes; 9. Philip Gorman; 10. Sean Brennan; 15. Graham Rusk; 16. James O’Brien; 24. Stephen Quigley. Subs: 21. Ryan Coulter (for 15,81 mins); 18. Declan Brennan; 19. Thomas Mulroney; 22. John Mulroy; 14. Barry Clancy; 23. Jason Monks; 11. Ian Sweeney (for 10,81 mins). 1. Gerard Doherty; 4. Barry Molloy (c); 5. Ryan McBride; 6. Shane McEleney; 7. Barry McNamee; 8. Danny Ventre; 10. Patrick McEleney; 11. Rory Patterson; 14. Michael Duffy; 18. Philip Lowry; 30. Aaron Barry. Subs: 9. Nathan Boyle (for 10,75 mins); 12. Josh Tracey; 3. Dean Jarvis (for 5,46 mins); 20. Ciaran Gallagher; 23. Ryan Curran (for 18,87 mins); 15. Tony McNamee; 17. Cormac Burke. 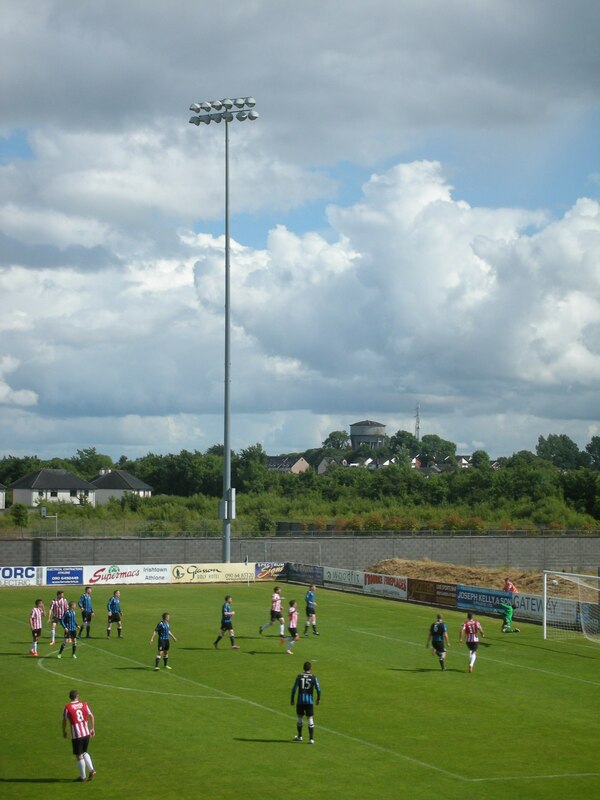 This entry was posted in Travel, Matches & Stadiums and tagged Athlone Town, Athlone Town Stadium, Derry City, groundhopping, League of Ireland, St.Mel's Park by peterrmiles. Bookmark the permalink. 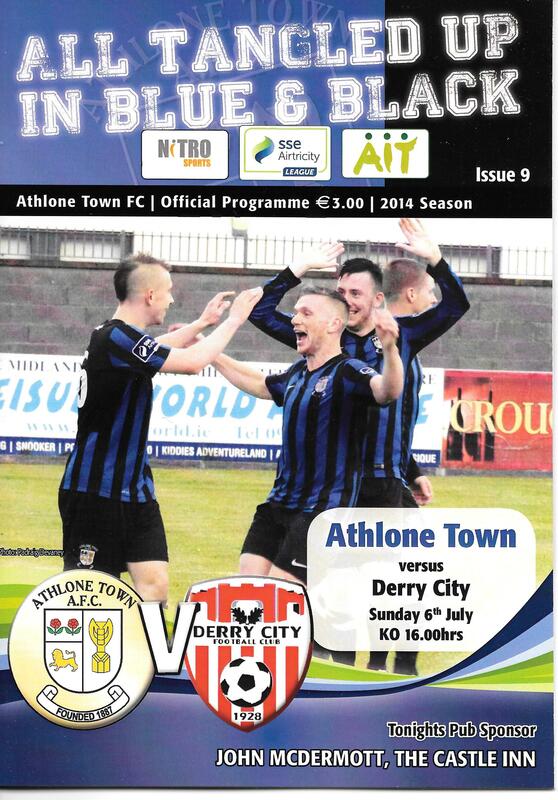 Enjoyed your survey of Athlone Town and the match against Derry City! But most of all, I liked the pics! Thanks Eddie much appreciated. 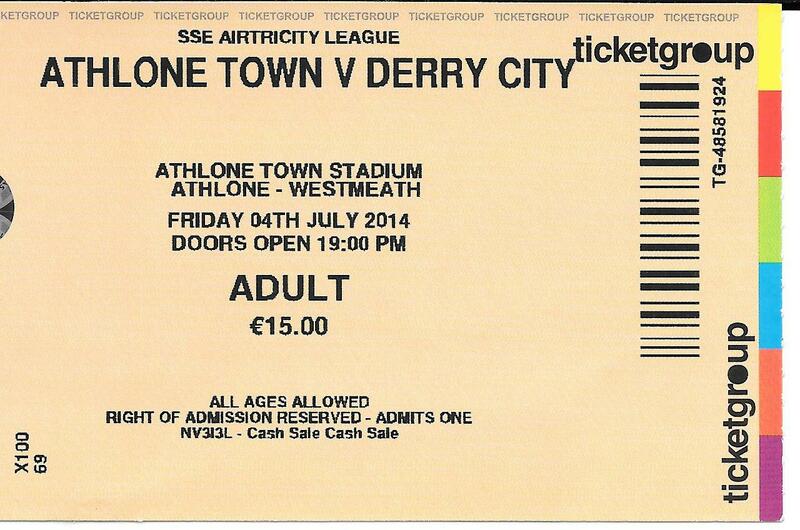 Did you pick up on the revised attendance for Athlone? All the Irish dailys were showing 354 the following morning. Seemed more likely than 230!